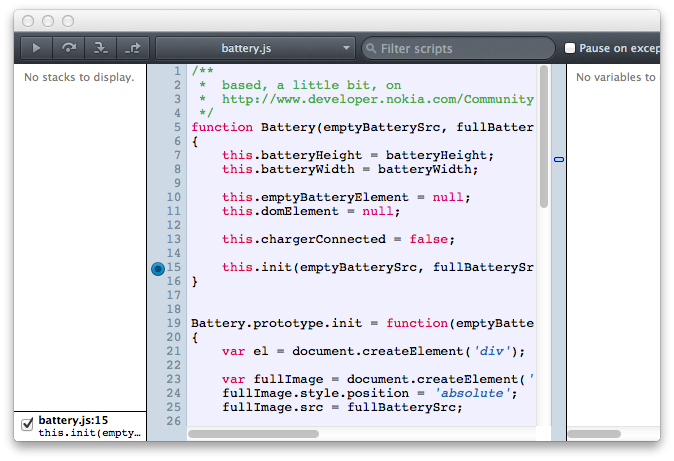 In the previous article I wrote about remote debugging web applications using chrome on Android. If you don't want to use chrome or you want to test and debug your application on a different mobile browser you can also use firefox mobile to debug. The process is pretty much the same as for chrome. To start debugging you have to connect your mobile device using USB to your desktop. Once you've done this you can use the android 'adb' tool to setup a debug connection to your tablet or phone. If you need instructions on how to setup 'adb' see the previous article on chrome. Now restart firefox, and that's it for this part. 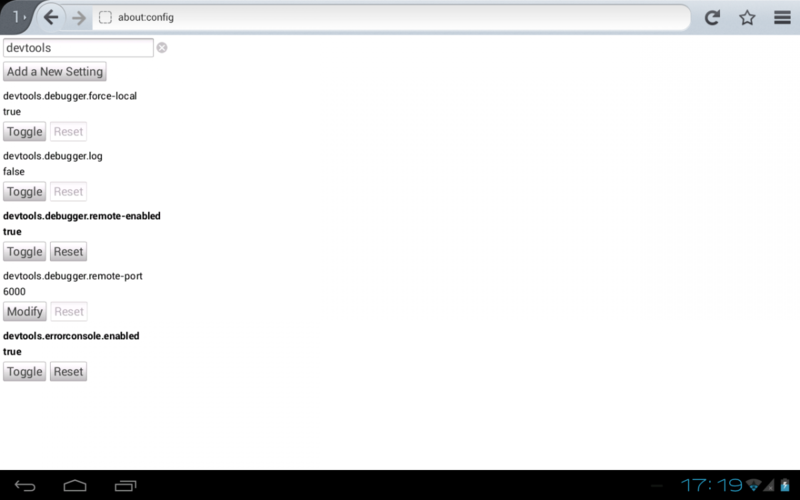 Next we need to configure firefox on your desktop for remote debugging (I'm using a nightly build). 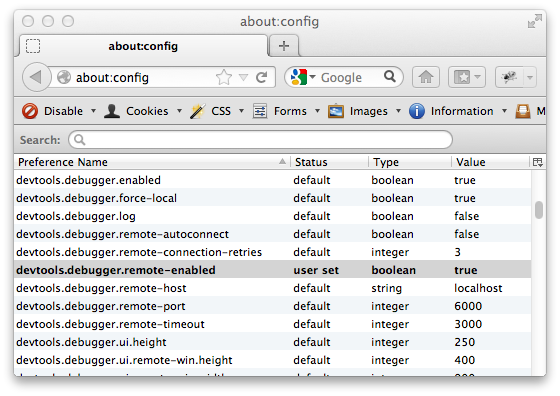 Once again go to the "about:config" url. 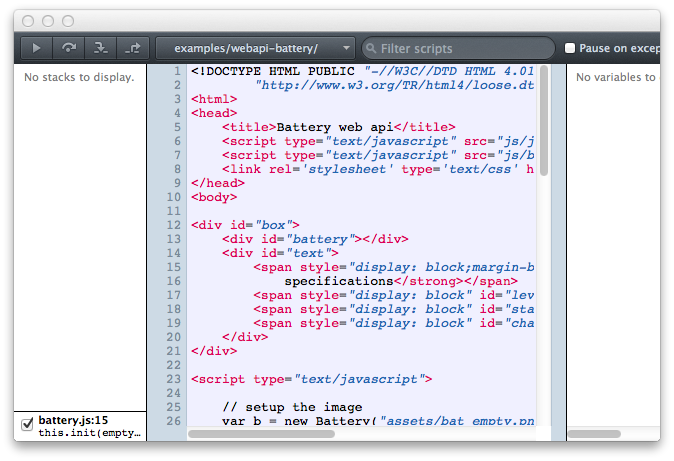 This time set the "devtools.debugger.remote-enabled" property to true. 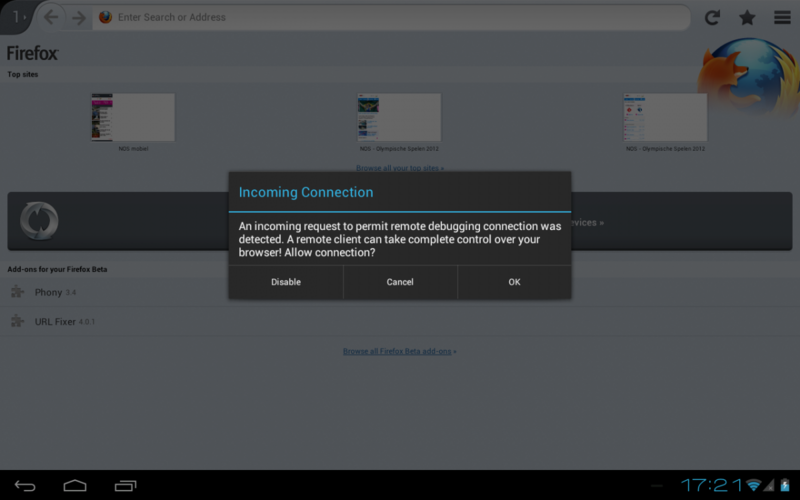 Restart your browser and now you'll have a new entry in the "tools->web developer" menu called "Remote Debugger"
When you do, you'll see another popup appear, but this time on your mobile device. 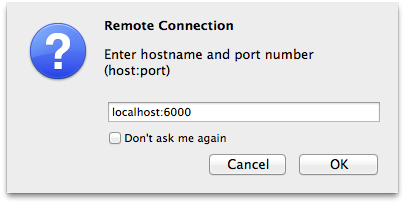 You've got a couple of seconds to click the Ok button, and once you do, a remote debugging session will be created. From your desktop you can now set breakpoints, view scripts etc. And that's it! Very easy, and another great way to make debugging web/html applications on your mobile device easier. In the next couple of days, I'll also show how you can do this with Opera.